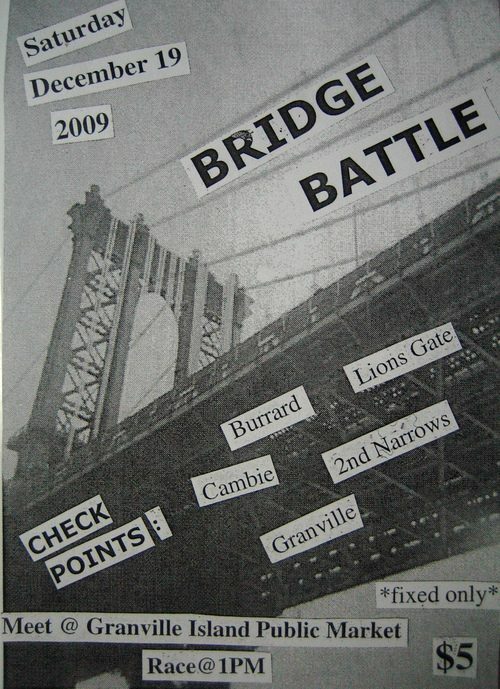 This weekend in Vancouver is the 3rd-annual Bridge Battle. The course will be around 20 miles long and will include 5 bridges. Sounds like cold cold fun. Be there!